After spending months with braces or clear aligners to enhance your smile, it’d be a shame if your teeth shifted back into misalignment. 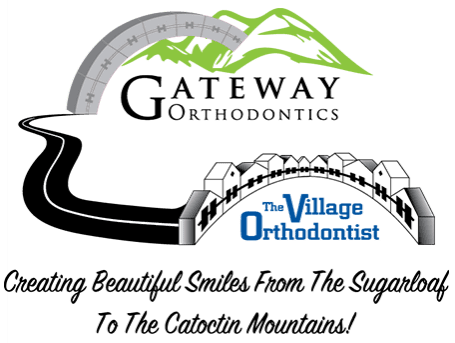 Jon Moles, DDS, of the Village Orthodontist in Frederick, Maryland, offers patients fresh of orthodontic treatment a variety of retainer options to hold teeth in position and permanently perfect smiles. Patients can choose between removable, fixed, or clear retainers and can even custom design a color scheme. To find out more, call or click today and schedule an appointment. A retainer is an oral appliance that helps maintain your teeth’s position after wearing braces. After orthodontic treatment, your teeth shift into optimal position, but are vulnerable to shifting back to their original position. Retainers, which you typically wear overnight while you sleep, help prevent this from happening. Retainers are custom-made for your mouth, ensuring a comfortable, snug fit. A clear plastic retainer is a great option, particularly if you were interested in Invisalign®. These are custom designed to fit over your teeth and are fully removable. One of the key benefits of a clear retainer is that they’re nearly invisible. This used to be the most common type of retainer. A hawley retainer is comprised of a thin piece of acrylic molded to fit your mouth and is fully removable. A wire stretches across your teeth to firmly hold them in position. It’s durable and can even be personalized with different colors and designs. Hawley retainers are typically used for younger children in transitional dentition. A fixed, bonded retainer sits behind the top or bottom front teeth to hold them in place permanently. After your orthodontic treatment is complete and your smile is in good shape, Dr. Moles performs a thorough examination to determine which type of retainer is best for you. How will I adjust to my retainer? After a short period, typically a matter of days or weeks, you can adjust quite well to wearing a retainer. You may find that you produce more saliva than usual for a day or so after first wearing any type of retainer, but this is a perfectly normal reaction to having a foreign object in your mouth. You may also find it a little harder to speak normally at first, but that should subside quickly. To maintain your results, Dr. Moles suggests his patients wear their retainers 12 hours a day. Most patients elect to wear their retainers overnight. To keep your retainer fresh and germ-free, it’s important that you properly clean it. Depending on what type of retainer you have, Dr. Moles can show you how to clean it, since each retention device requires something different. For instance, a Hawley-type retainer can be brushed gently with a regular toothbrush, but a brush may scratch the clear aligner types. Also, remember to always carry and use a retainer case. You'd be surprised how many retainers end up folded in a napkin and accidentally discarded. To find out more about your retainer options and which one may be right for you, call or use the online booking tool today and set up a time to come in.